UTC defensive lineman Randall "Brick" Mitchell makes a tackle for the Mocs against VMI during the 1984 season, the last time UTC made the postseason in football. Those former players hope to see the current team beat Wofford on Saturday to advance to the FCS playoffs. The ring sits in a glass cabinet, prominently displayed in Michael Makins' Atlanta home. The letters encircling a single sparkling diamond spell out "UTC MOCS," and inscribed across the face of the ring are the words "SOUTHERN CONFERENCE CHAMPIONS" -- which explain why, other than his wedding ring, this is the most significant piece of jewelry Makins owns. Admittedly Makins rarely wears it, but like for so many of his former teammates from the 1984 University of Tennessee at Chattanooga football team, it represents one of the most memorable accomplishments of his life. "It's something we all cherish because it represents the hard work -- the blood, sweat and tears we poured into that season," said Makins, a two-time Division I-AA All-America defensive lineman for the Mocs. "You can tell the ring is old-school, but I wouldn't trade it for the world. "We still keep in touch with each other, and the conversation always winds back to memories from that season. The camaraderie of accomplishing something special with guys who were like your brother is what I still remember, and that's what these guys now can have, too." The 1984 team is the program's last to win the outright SoCon title and reach the playoffs, but now, 30 years later, this year's Mocs can achieve the same goal with a win over Wofford on Saturday at Finley Stadium. Last season UTC finished in a three-way tie atop the league standings, but while players received rings signifying the co-championship, there was an empty feeling from being left out of the playoffs. That stinging memory can be overcome with a win Saturday. That 1984 team also went into its final regular-season home game knowing the stakes that rested on the outcome. In Buddy Nix's first season as head coach, the Mocs earned five of their six wins by a touchdown or less, relying mostly on a stout defense and a physical running game. Against Marshall, UTC needed a 95-yard kickoff return for a touchdown in the final minute to pull off a 17-13 road win. A week later, on a cold, rainy afternoon at Chamberlain Field, the Mocs held on late for a one-point win over Appalachian State. After the game's final play, with the conference title secured, nose tackle Randall Mitchell ran across the field and slid through the mud with his arms raised in celebration. 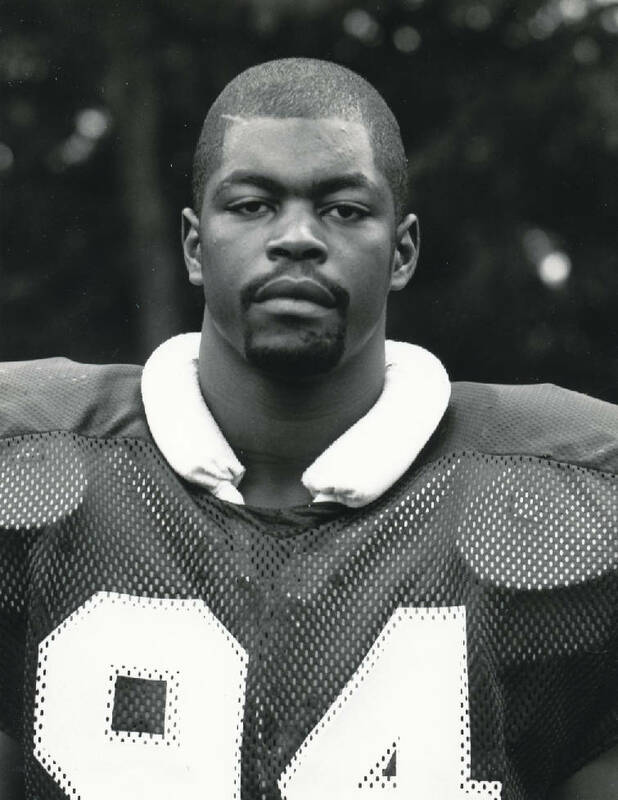 Michael Makins, 1984 UTC Mocs football player. "We were similar to their team this year, except they score a lot more points," said Coach Nix, whose grandson Kota Nix is a freshman receiver. "I've been a UTC fan since the day I got here, and it didn't change after I left. "It's been a long time and a lot of games since then, and the program went through a dry spell. You get beat down enough, like they had, it wears on you. This would resonate throughout the community and bring a sense of pride we need in the Chattanooga community." Since the program's last playoff appearance, UTC has suffered through 19 losing seasons before fortunes began to turn with the hiring of Russ Huesman. In his first season, just one year after the Mocs had finished 1-11, Huesman led his alma mater to six wins. That equaled the combined number of wins by the program for the three years before he took over, and he since has guided UTC to five more wins than the program had achieved the 10 seasons prior to his arrival. A win Saturday not only assures a playoff spot for the first time in 30 years, but with last year's co-championship it will mark the first time the Mocs have won consecutive league titles since winning three in a row from 1977 to '79. "I absolutely never thought it would take another 30 years to get back to the playoffs," said Johnny Henderson, a Mocs assistant coach from 1981 to '85 and again from 1988 to '92. He met his wife while working at UTC. "We were close a couple of times, but it makes you realize just how tough a thing winning it is to do. "Russ has added stability to the program. Look what he did in just one year. He changed the culture there, and if they can get it done this weekend that's a credit to Russ, the staff and players. That's a special place for me. There's a lot of good folks there who have lived through some tough years, and I'll be happy for all of them." Mocs junior quarterback Jacob Huesman has been named SoCon offensive player of the month for October. Huesman accumulated 1,107 yards of total offense and three wins in four games. He threw for 785 yards and eight touchdowns and ran for 322 and four scores. Senior punter Nick Pollard and senior defensive end Davis Tull were named Capital One Academic all-district.